Vin Apruzzese, an aspiring lawyer and the only son of an Italian immigrant, is living in Newark, New Jersey when he meets Sandy, a glamorous model who has just moved home from Hollywood. A self-reliant woman with an innate talent for all things domestic, she is the perfect match for this ambitious young man with a weakness for romance. But Vin’s father, a Depression-era entrepreneur determined that his son not throw away the opportunity for a life better than his own, is steadfastly against the couple’s union because of Sandy’s past. Vin’s undiminished desire to be with Sandy threatens to destroy his relationship with his parents, and a terrible mistake brings him to the brink of losing the love of his life. 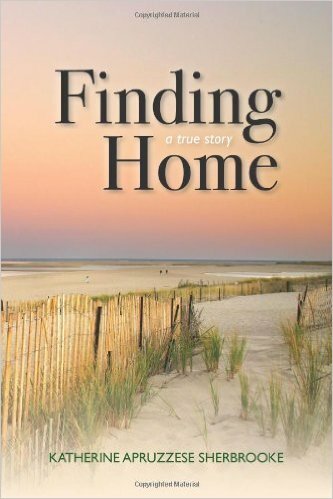 Finding Home is a true story about the complexities of family and the power of love. Written by Vin and Sandy’s youngest daughter, it is recounted through the eyes of an aging Vin, who is faced with the anguish of losing Sandy for the second time.